So much has happened in the past couple weeks I have not blogged at all. Where is start is a good question. Lots of people are asking about Sandra. She was doing great here with us, eating great and being a playmate to Odessa. We knew from the beginning of the journey she couldn't stay here the entire time it wuld take to complete her adoption though. So she left about 2 weeks ago. She is staying with a Haitian preacher and his family (who happen to have 3 girls!) while her adoptive family is going through the process. I have called a few times to check on her and they say she is doing awesome! She will be starting school for the first time and is excited about that. Odessa however, asks about her nearly everyday and seems a little lost without a live in playmate. Please continue praying for Sandra and her adoption process. Speaking of which, we are coming along with Odessa's paperwork. And waiting anxiously with other adoptive parents on the Haitian government to change the adoption rules a little. 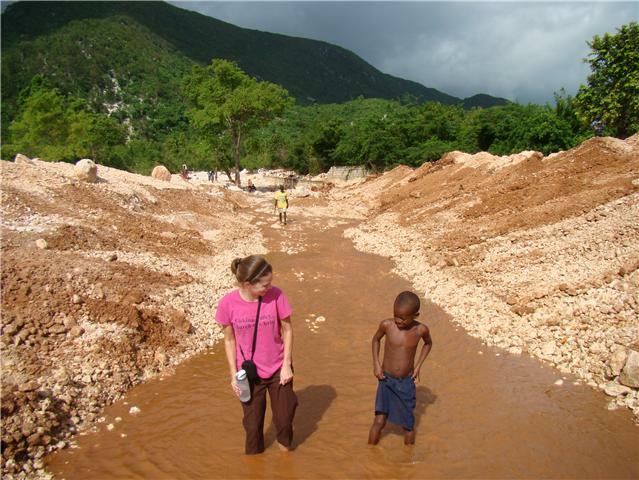 To make is easier to adopt in Haiti. So send up LOTS of prayers the president of Haiti signs that paperwork! Right now am in the middle of working with the USS Comfort which is currently in Haiti providing free surgeries and a variety of other medical services for 10 days. It is lots of work but has surprisingly be a lot of fun too! 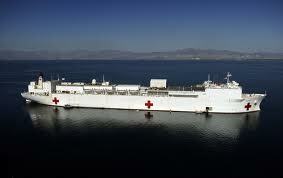 Check out the USNS Comfort's website and the "Continuing Promise" program. Angel Missions Haiti is helping corrdinate tanslators and patients for the ship.Several patients we had on our list to go to the US for surgery (Nadine has gotten some care-see below for her story) are receiving care here in Haiti thanks to the USNS Comfort!